I LOVE the Simon Says Stamp January 2018 card kit. 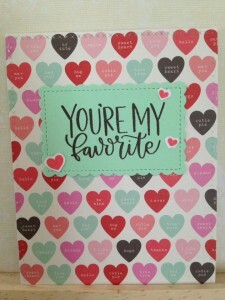 It is perfect for Valentine’s Day cards. The mix of sentiment in the kit can also work for a variety of people which is very nice. This is the fourth card I made using the kit. 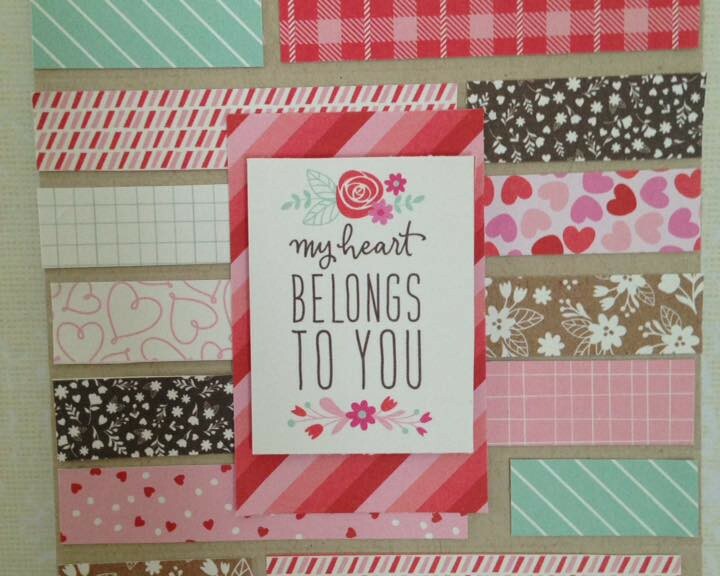 Extra Details: I began this card by die cut one of the patterned papers with a large crossed stitched rectangle. I adhered this panel to a white card base. I die cut the mint card stock with a scalloped rectangle die and adhered that to the top middle of the patterned paper with foam tape. 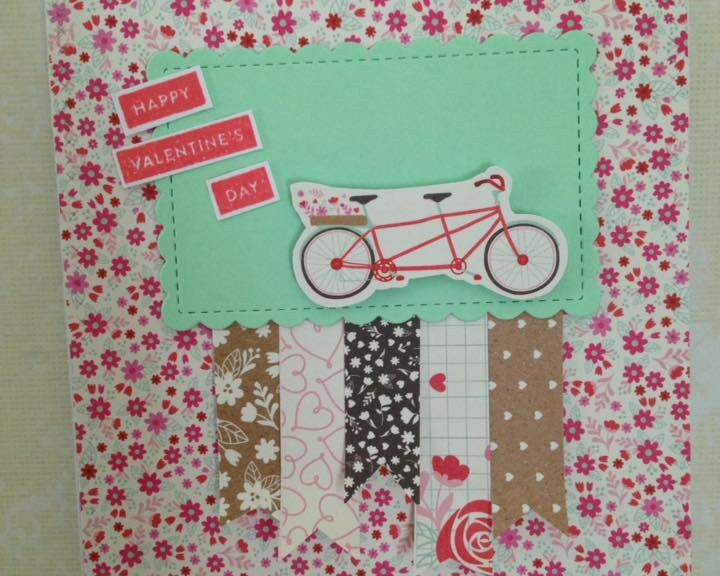 Then, I fussy cut the bicycle from the cut apart paper and adhered that to the mint panel. I added some banners made from scraps of patterned paper to the bottom. Lastly, I added the sentiment which I created out of the stamp set. 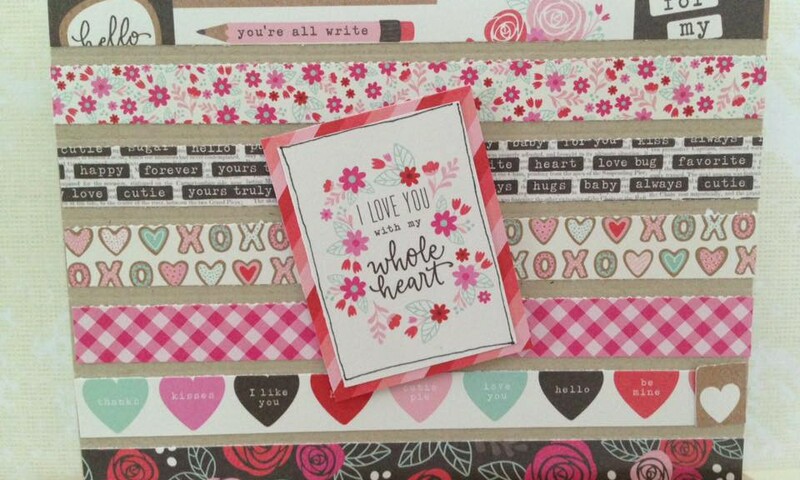 I LOVE the Simon Says Stamp January 2018 card kit. 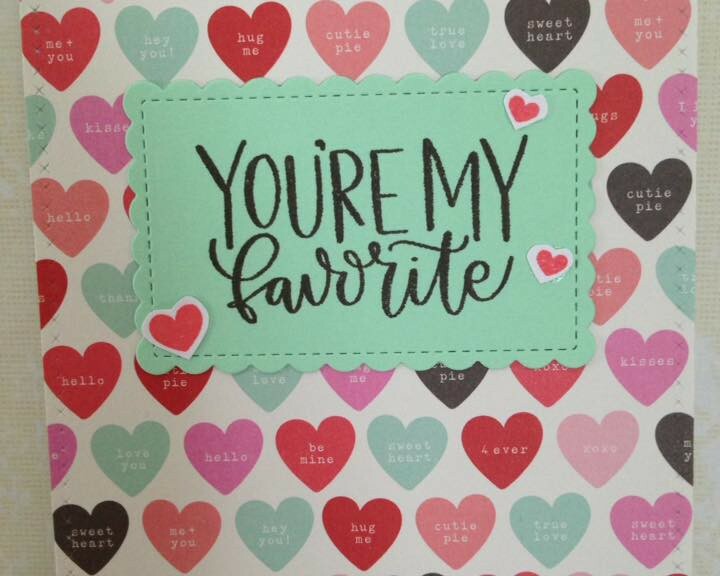 It is perfect for Valentine’s Day cards. 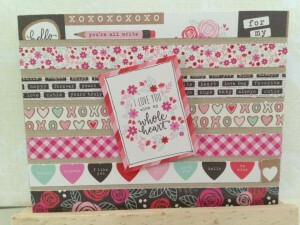 The mix of sentiment in the kit can also work for a variety of people which is very nice. This is the third card I made using the kit. Extra Details: I began this card with a panel of kraft card stock. I embossed some line in the kraft card stock ever ¾ on an inch. 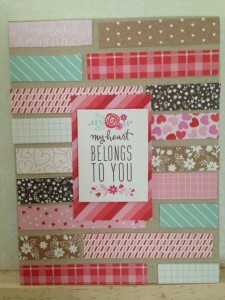 I used the embossed lines to help me line up the scraps of patterned paper. 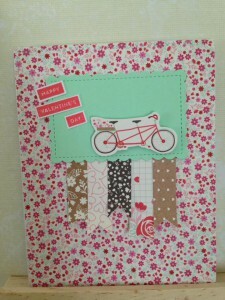 For the sentiment, I used a cut apart from the patterned paper pack. I matted it on a rectangle of patterned paper. Lastly, I adhered it to a white card base.